October is rideshare month and we are giving you an opportunity to win an Amazon gift card! Do you have pictures of yourself riding a bike or a bus, taking the train, walking to work, or carpooling? Post it on Facebook or Twitter between October 1st and October 31st with a #GoGlendale and you are automatically entered for a chance to win a $50 Amazon gift card. A light rail line between the Van Nuys Station (Orange Line’s) and the Sylmar/San Fernando Station (Metrolink) was approved yesterday by the Metro Board of Directors as the “preferred alternative” for the East San Fernando Valley Transit Corridor project. The projected line mostly runs through the center of the Van Nuys Boulevard and along the railroad that is adjacent to San Fernando Road. The project estimates 31 minutes to ride from end to end of the 9.2-mile of light rail, with 14 stations along the line. 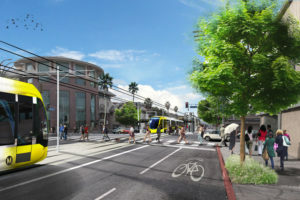 This project is part of the Twenty Eight by ’28 Plan, which seeks to improve mobility in the Los Angeles area before the 2028 Summer Olympics and Paralympics. “Metro staff determined that light rail was faster, offered more capacity and would better serve the community in the future than bus rapid transit (BRT), the other type of transit under study for the project”*. This decision was made based on demographic information of the surrounding neighborhoods, as well as the transit dependency of the community. Here is the Metro staff report. 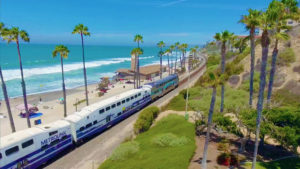 Inside the report, you will find the draft environmental report, the public comments, the maps of the line and the maintenance and storage facility, as well as other documents that explain the project in detail. *Source: The Source, LA Metro. All tickets on the Metrolink San Bernardino Line will be discounted at least 25 percent (except for the weekend pass and special tickets). The discounts start on Sunday, July 1, and students and seniors get discounts up to 50 percent. The discounts will last for 6 months. So, if you don’t use public transportation already, it my be time to update your budget and consider it! Form Monday, June 25, the discount fares will be available for monthly passes purchased at Metrolink vending machines and ticket windows. All mobile tickets and remaining fares discount will start on July 1. Metro is improving its bus services and this may impact your selected routes. The changes vary from minor route and schedule updates to the implementation of the Warner Center Shuttle. We selected the new timetables from the routes that cross Downtown Glendale and you can see them below. For all other timetables and service updates, click here. All the updates will be effective starting on Sunday, June 24. New timetables: 90/91, 92, 180/181, 183, 201, 603, 780. 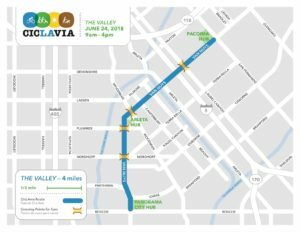 Did you know that cicLAvia is back to the Valley? 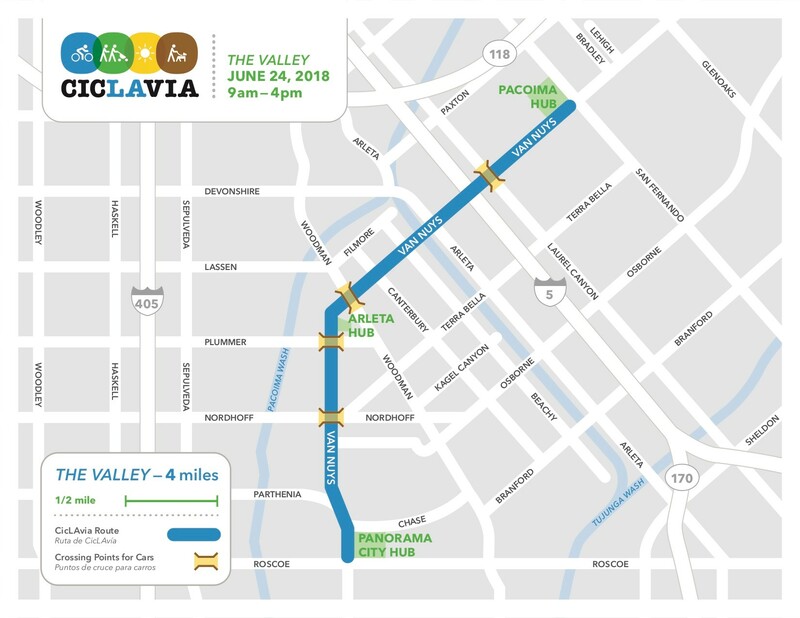 CicLAvia is returning to the Valley on Sunday, June 24th! Panorama City, Arleta and Pacoima will host the country’s largest open streets event. Streets will be closed to cars and open for cyclists, pedestrians, runners and skaters to use as a recreational space! 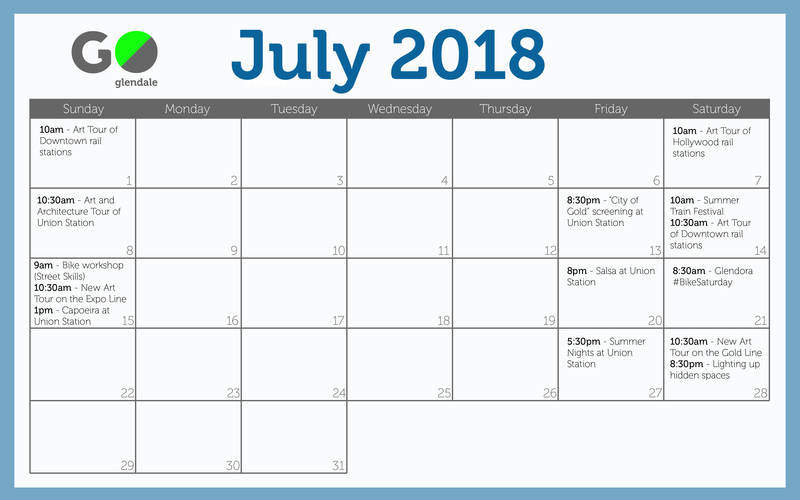 Date: Sunday – June 24, 2018. ATTENTION! CicLAvia is not a race, so you can join the event from anywhere along the route and enjoy the ride in both directions. Bring your family and friends and have fun with other members of the community. 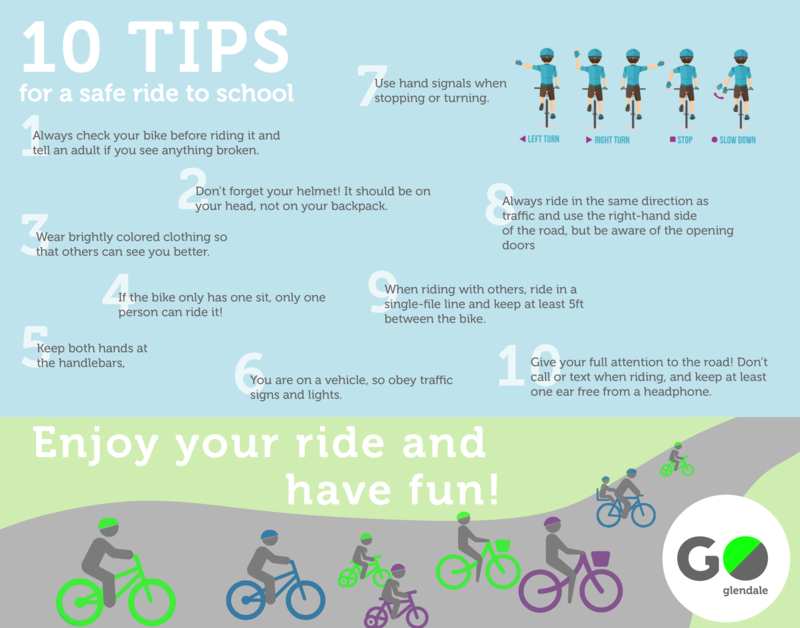 And remember that bikes are welcome into the designated areas and racks at buses and trains, so there is no need to worry about parking. For for info, click here. 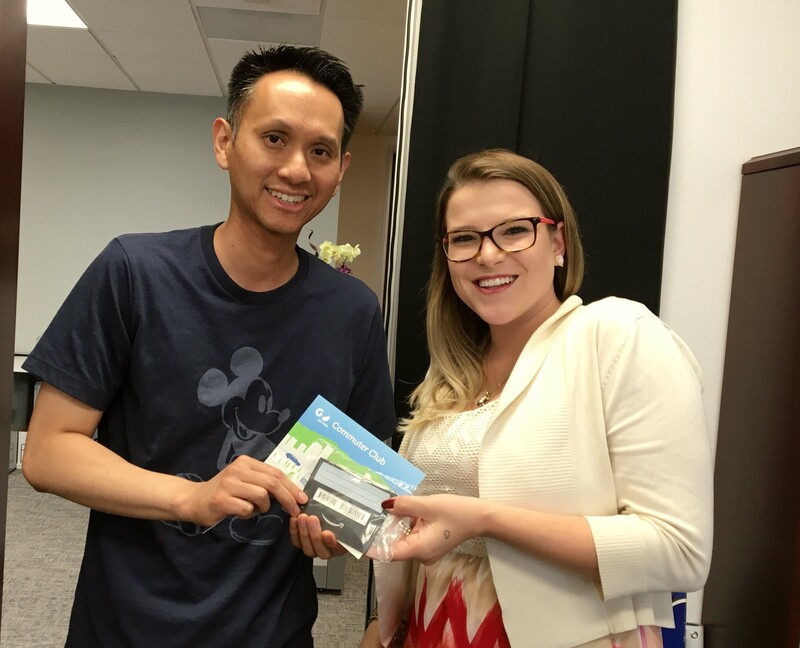 Paul Yu was the big winner of the Go Glendale Earth Day Trivia Raffle. He entered our transportation trivia and achieved a perfect score, winning an Amazon Gift Card. Congratulation, Paul! If you want to participate in our events, stay connected to our webpage and Facebook or subscribe to your newsletter list by contacting us on contact@goglendale.org. 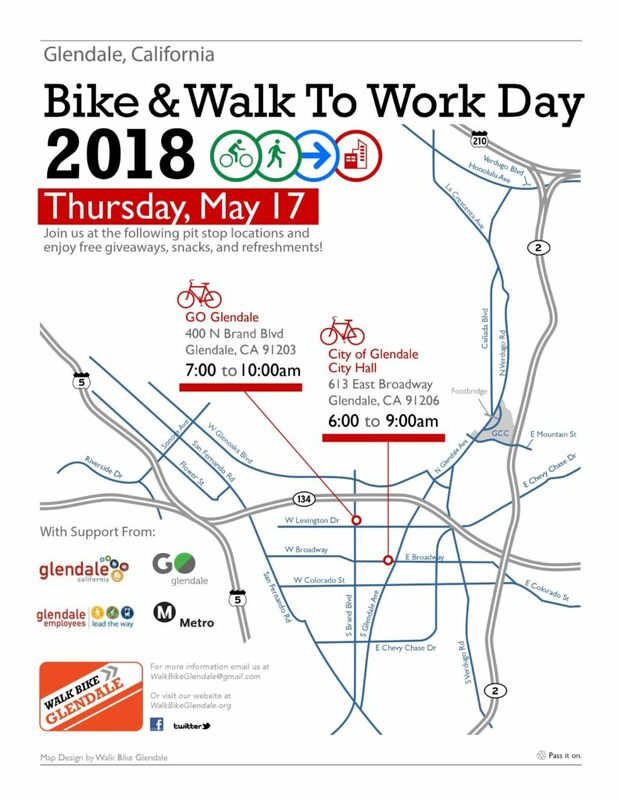 Go Glendale in collaboration with Walk Bike Glendale will be hosting a pit stop in front of 400 N Brand on May 17 from 7AM to 10AM. Join us for some snacks, free giveaways and words of encouragement!